Stuff. Most of us have too much of it. Some of us have WAY too much of it. Whether you just have an extra bookcase full of old volumes with which you can’t bear to part or your home looks as though you’re auditioning for a spot on the TV show Hoarders, clearing out some of the items in your home can not only minimize clutter, but it can help to clear your mind as well. There are many reasons to work towards a clutter-free home. The most obvious is just to free up space, but there are other, more significant, reasons to consider clearing your home of things you don’t need. Your home should be a retreat from the chaos of the world, but it’s hard to feel that way in a home full of disorder. When you remove extra furniture and other items, you’ll be in a better position to create the warm, welcoming environment you deserve. Also, if the clutter is really starting to get out of control, you’ll always feel as though you’re looking at a task that needs to be completed because your home will always look as though it needs to be cleaned or reorganized. That feeling of having unfinished tasks makes it difficult to relax. 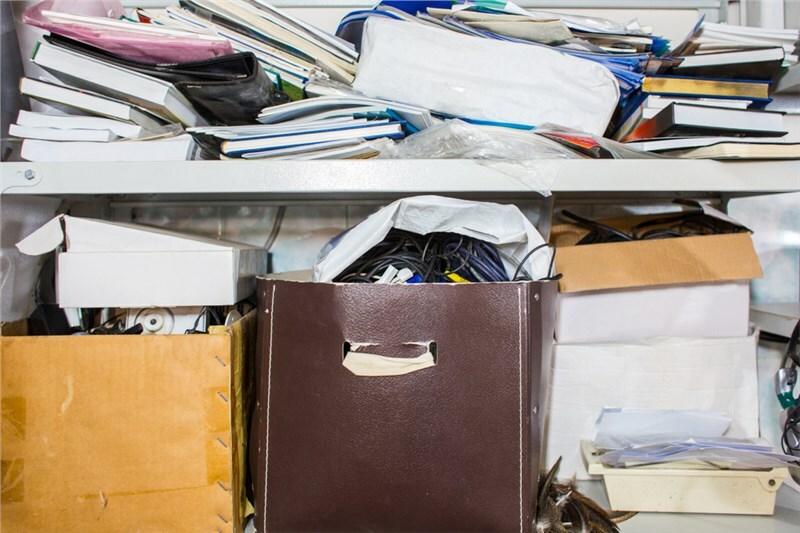 Most people don’t make the connection between clutter and mental energy, but the truth is being in a cluttered space makes it more difficult to operate at your most efficient. Everywhere you set your eye is something distracting, a mess to straighten, a shelf to dust, a pile of items to rearrange. When you’re surrounded by all of that visual noise, you’ll have to work harder to focus on whatever task is at hand, such as writing a letter, reading a book, working on a craft project, or even just relaxing. That extra concentration burns up mental energy, making you less efficient, tired, or even depressed. Can clutter lead to unhealthy eating? One study, which was conducted in 2017 by Lenny Vartarian et al, found that people were more likely to eat more unhealthy snacks if they were in an unorganized environment. One potential reason for that is the stress that is caused by a cluttered space. Stress eating can be triggered by many factors including an unorganized home. Letting go is hard. We get it. The good news is that our storage service lets you get rid of clutter in your home without having to entirely cast off the items in question. Storing your extra belongings is an affordable way to clear out your home without having to get rid of things that mean a lot to you. Apex Moving & Storage offers both short-term and long-term storage in our secure warehouse facility. Your items will be safe and sound thanks to features like 24/7 surveillance and a sprinkler system. Whether you just want to store your seasonal items or you are on a mission to declutter your home, we have options that are right for you. Contact us to learn more about our Nashville storage solutions and to discuss your needs. Call Apex Moving & Storage today or fill out our online form to get in touch with one of our storage specialists.